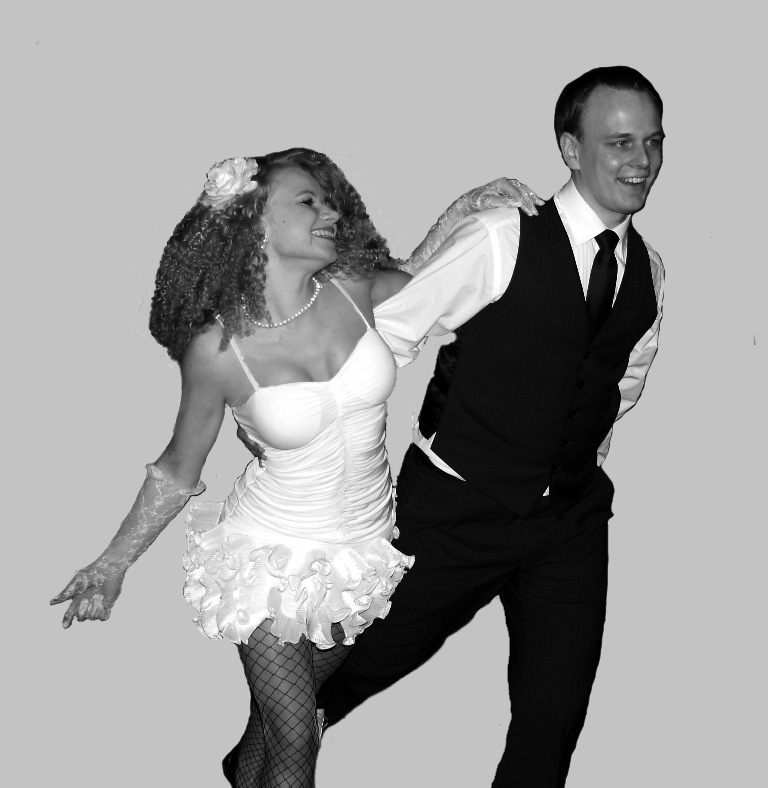 Mike and Kate were well established teachers and performers in Manchester and beyond before they joined the committee. We’re incredibly proud to have them on board (and they’ve probably taught more MCR dancers the classic Jazz routines than anyone. Ever). Spins. Terrifying, awe-inspiring spins. When asked what their signature move was on the dance floor they were not sure. The answer is SPINS! Sweet-Jesus-that’s-not-physically-possible spins. This couple are definitely worth pulling up a ringside seat for when they hit the social floor. Kate and Mike are Manchester’s own Lithuanian legends; friendly, approachable and incredibly knowledgeable about the dance. They can be found teaching classes and chatting happily to people at the side of the floor. When they are not doing that… spins. All the spins. All the time. Some people say we are good teachers. A few years ago we didn’t even think about teaching. It doesn’t matter where you dance, what matters is the atmosphere that Lindy folk create. Manchester Lindy is definitely the nicest place to dance. However, there is one special place we always want to go back to – small Jazz club in Klaipeda called “Kurpiai” where everything started for us. ML has played an important role in building Lindy community in Manchester. Being part of it is an honour. Any comfy shoes with slippery soles. Flames – warm, playful, and different in every single moment. Always think about your partner. it’s not a competition and no-one is judging you on a social dance floor. The important thing is that you and your partner share the joy of dancing together. We hope one day everyone will be a member of the Lindy community.